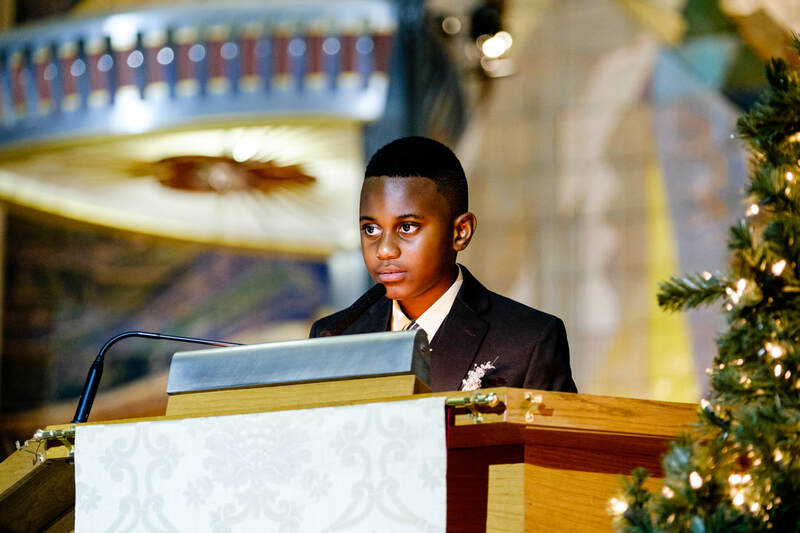 Being a part of the Cathedral extends beyond Mass for many within our community. 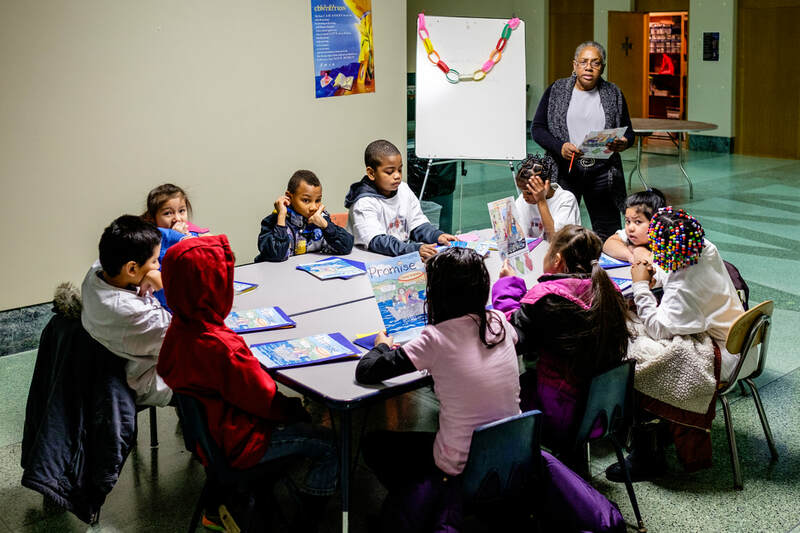 Our Parish offers many opportunities for social action and evangelization through our wide variety of active ministries. Please call the Cathedral office at (860) 249-8431 if you are interested in volunteering for one or more parish ministries. We welcome your generosity in sharing your time and talent. 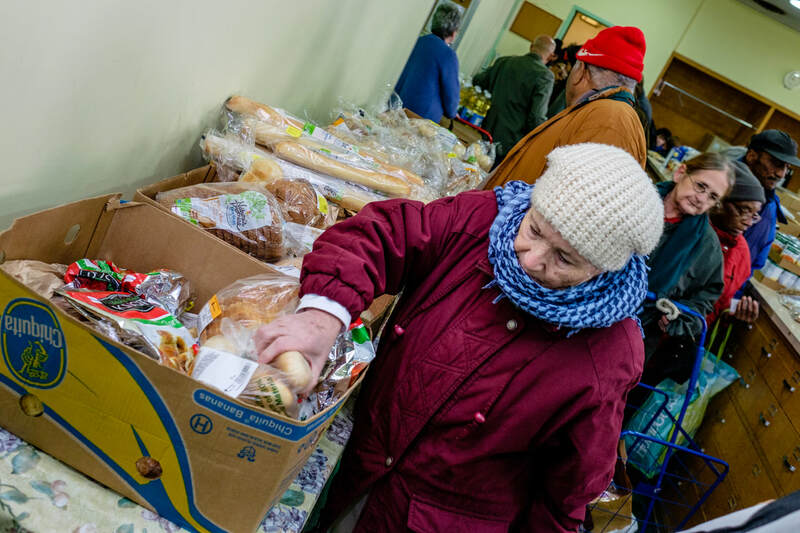 The mission of our Food Pantry is to give food, clothing, housewares and comfort to the poor without discrimination. We refer our clients to other agencies that may be helpful to them and we provide information for daily living. 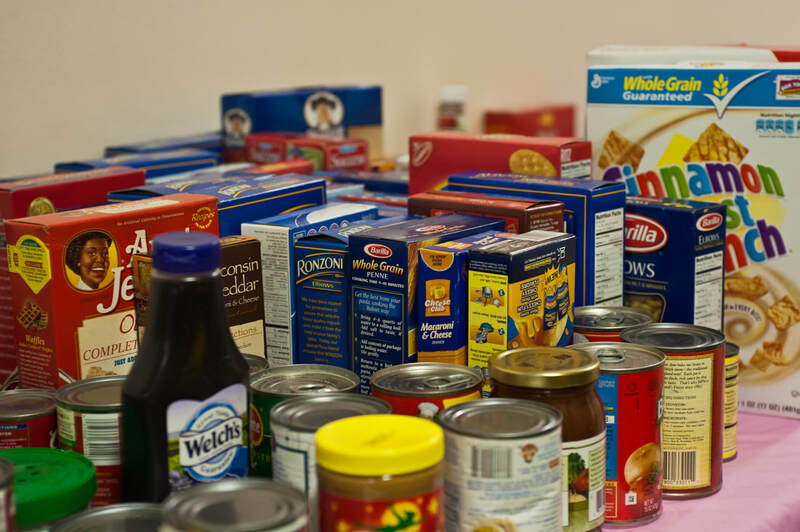 The pantry is staffed by an amazing group of volunteers who serve our clients with great compassion and dignity. "Whatever you did for one of these least brothers and sisters of mine you did for me" [Matt. 25:40]. The sandwich ministry provides a way whereby volunteers can help fight hunger in our neighborhood through daily distribution of sandwiches. Dozens of sandwiches are distributed daily by rectory staff. Volunteers may work from home in preparation of nutritious sandwiches on an approximately six or seven week schedule. There are a variety of opportunites at the Cathedral for participation in special projects. These include the annual Homefront home restoration project, and the Christmas Giving Tree Fundraising projects include the ongoing Deposit Bottles Collection, and the Walk Against Hunger. 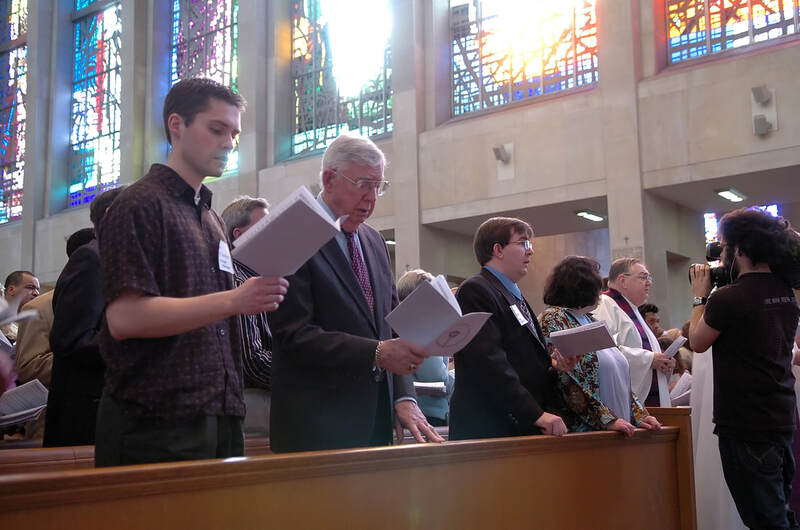 The Worship Committee nurtures the spiritual growth of the parish by preparing liturgies and prayer services. The Committee supports the various liturgical ministries. Special events include: The Lenten Parish Mission, services of Reconciliation, assistance with the Mass of Anointing and the Mass of Remembrance, special seasonal rituals for Thanksgiving, Advent. "For whenever two or three have gathered together in My name, I am there in their midst." [Matt 28:20]. 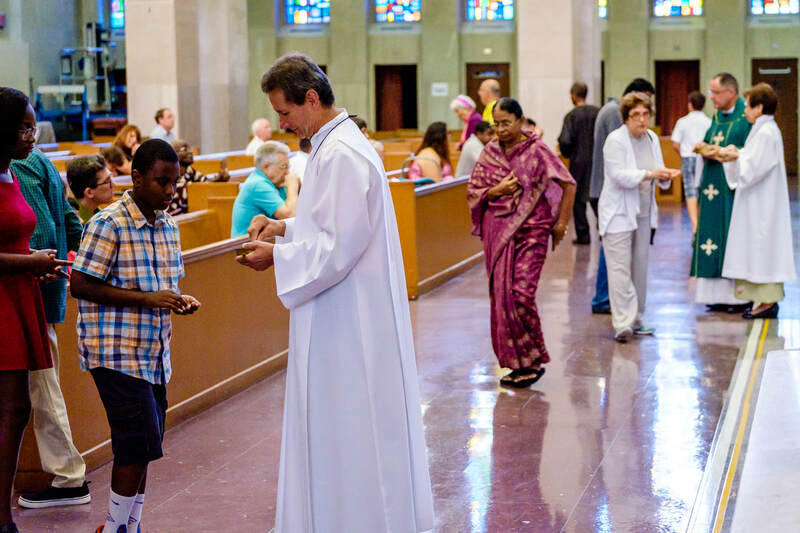 After adequate training and appropriate preparation, the extraordinary Ministers of Holy Communion are commissioned to assist in the distribution of Holy Communion during liturgical celebrations. They also help in taking Holy Communion to the Sick and to the shut-in members of our Cathedral Parish Family. "He who eats my flesh and drinks my blood abides in me, and I in him. As the living Father sent me, and I live because of the Father, so he who eats me will live because of me" [John 6:56 - 57]. 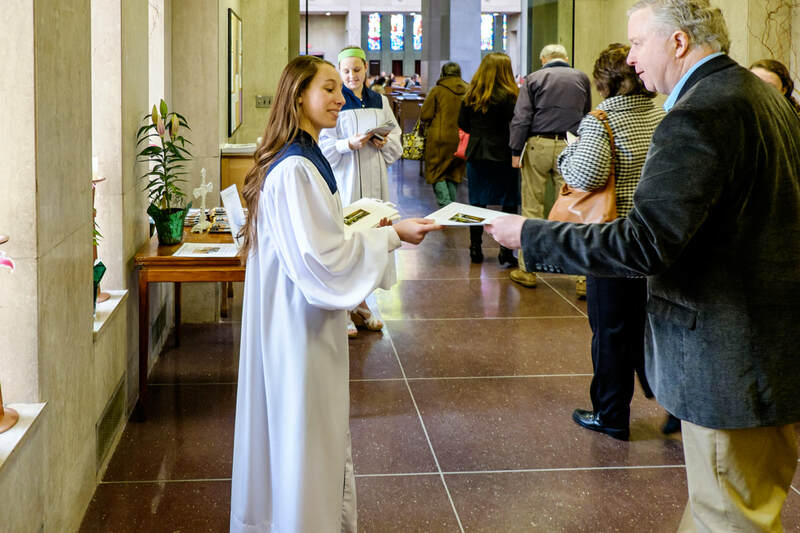 The Cathedral Music Ministry contributes to the prayer life of the parish community by providing music for liturgical services of the parish and the Archdiocese of Hartford. There are two musical groups: the Cathedral Choir and the Archdiocesan Choir. The great Austin organ is one of the largest and finest pipe organs in the state and is widely known through recordings. 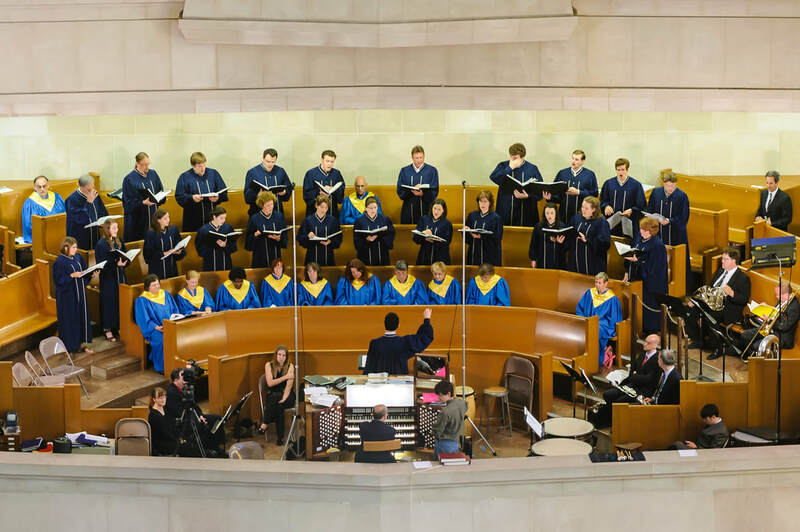 The Cathedral Choir sings at the 11 a.m. Mass every Sunday, September through mid-June, and for special occasions and services during Christmas and Easter. It maintains a high standard of musical excellence. Greeters serve the assembly by extending hospitality to worshippers when they arrive at church, welcoming parishioners, visitors, Catholics and non-Catholics, all ages alike. Worship materials are handed out, questions are answered and each person is greeted with a smile and a word. Hospitalty at worship is an expression of reverence for the presence of Christ in each member of the assembly. As an integral part of the Eucharistic celebration, the reading of God's word occupies a principal place in the liturgy. Thus, the lectors/readers after adequate training and preparation are duly designated to take on this ministry of reading God's word during all liturgical celebrations. "Make me to know thy ways, O Lord; teach me thy paths. Lead me in thy truth, and teach me, for thou art the God of my salvation;...." [Psalm 25:4 - 5]. 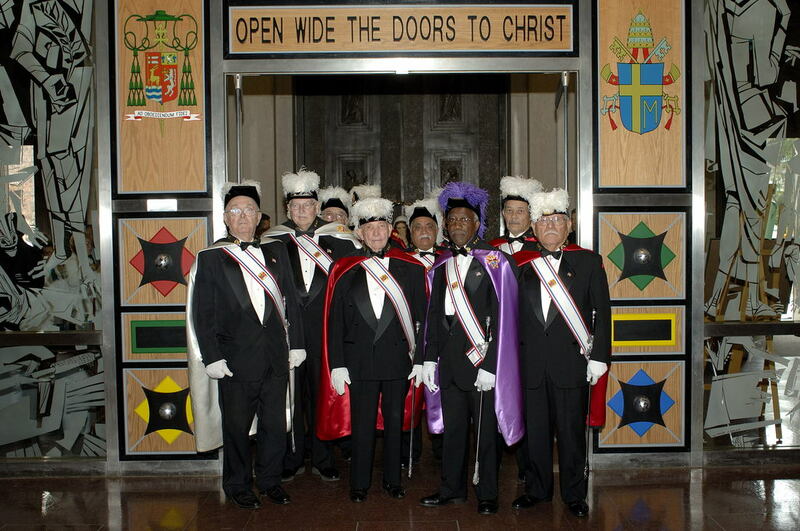 The Cathedral Council of the Knights of Columbus is an organization of Catholic men who uphold the ideals of Charity, Unity, Fraternity and Patriotism. They serve the parish and the Church universal by supporting and giving of their time and talent for God and country. 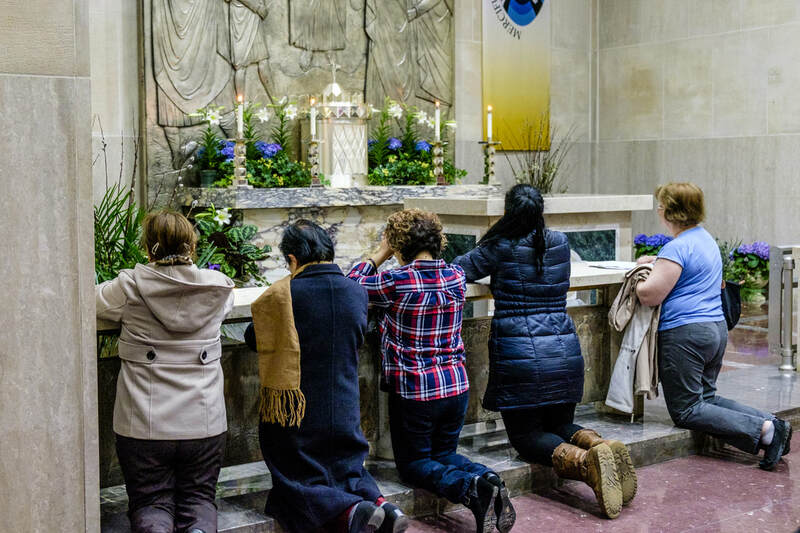 They meet on the first Thursday of Month and attend the 11 a.m. Mass as a group on the fourth Sunday of the month. The Education Committee seeks to guide the parish in responding to the call of the Lord to share our Catholic faith and deepen our commitment to the service of our brothers and sisters. Areas of focus are: Sacramental preparation of young people, enrichment of the faith lives of parishioner. 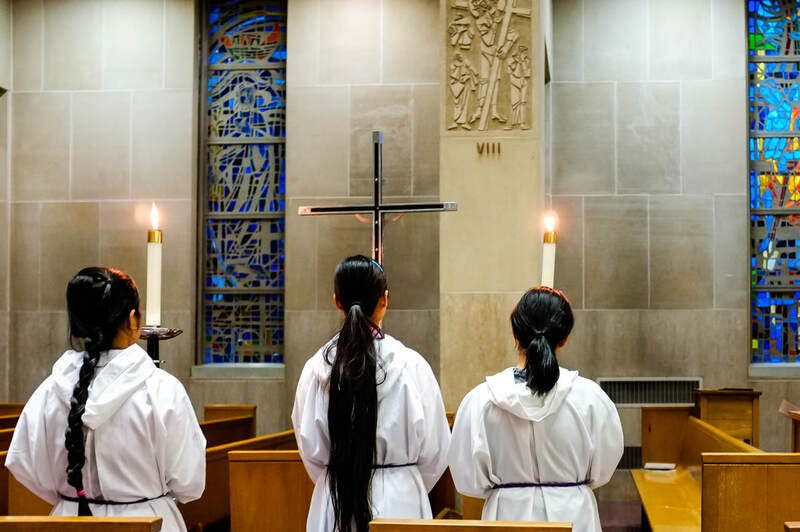 RCIA, The Rite of Christian Initiation of Adults, is the means by which we welcome into the Catholic faith and provide appropriate formation for adults who wish to convert or be received into the Church. Volunteers assist pastoral staff in preparation for reception of the Sacraments of Baptism, Holy Communion and Confirmation. This group knits/crochets the shawls. The completed shawls are given to parishioners, their families, and friends. They are used to provide comfort and solace in time of illness or death. They are also given to celebrate a good event such as a marriage or change of career. Prayers are an important part of this ministry. A prayer is said before the work on a new shawl is started. Some people say prayers as they knit/crochet. A prayer is said over the completed shawl. The patterns are simple. This allows anyone who knits or crochets to participate. 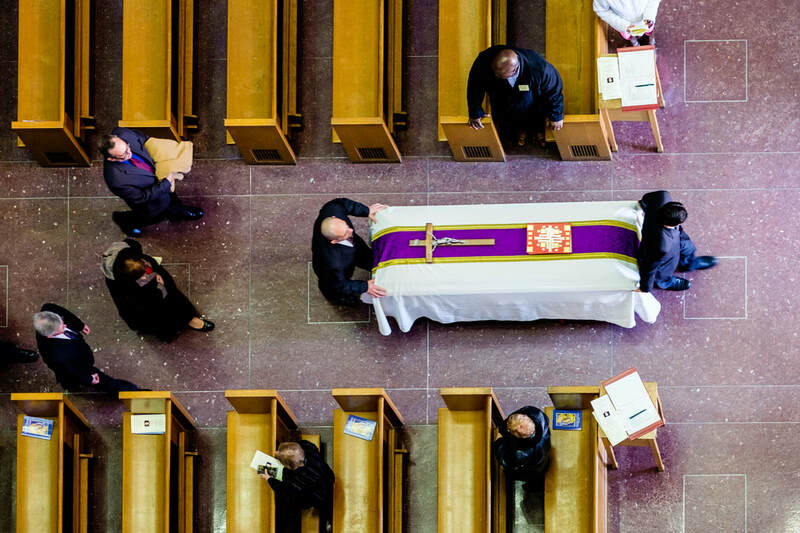 The Funeral Ministry Committee supports families of deceased parishioners at the time of the funeral by participating in the funeral liturgy. They represent the parish family in respectful recognition of the passing of one of its members, and offer the support of their prayer to those present. They also participate in the annual Parish Mass of Remembrance in November. "I am the resurrection and the life, he who believes in me, though he die, yet shall he live, and whoever lives and believes in me shall never die." The Pro-Life Committee promotes greater respect for the sanctity of human life from conception to natural death. 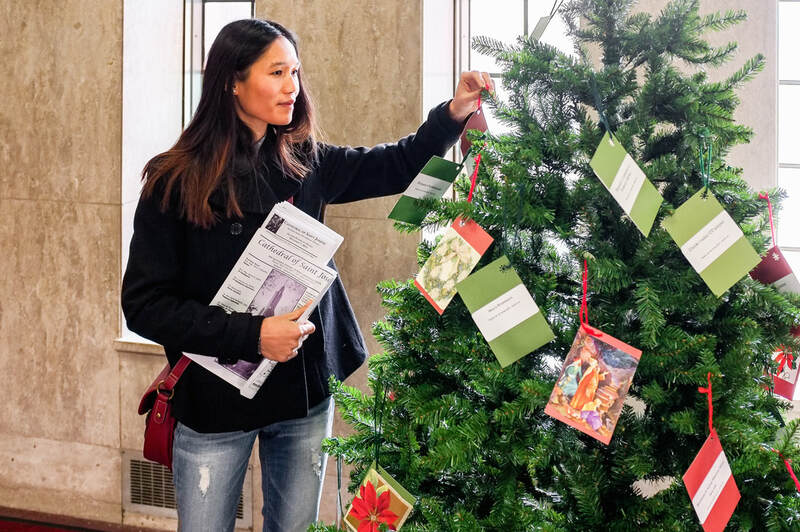 Activities focus on parish education for "Respect for Life Month" in October, parish awareness of pro-life legislation, and a "phone-tree" for legislative issues. The committee is active at archdiocesan, state and national levels. 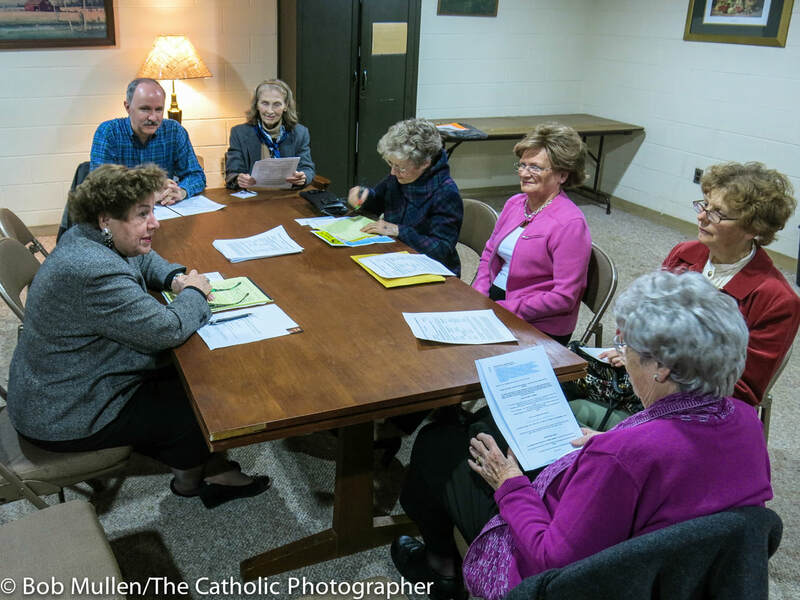 The Senior Outreach Committee provides contact between the Cathedral and the older members of the parish. Several times during the year, cards and messages are sent to parishioners who are home bound or are in extended care facilities. For other seniors there is Mass followed by luncheon three times a year. The committee meets as needed. The St. Vincent de Paul Society, in the spirit of justice and charity, involves its members in helping those in our parish who are suffering. 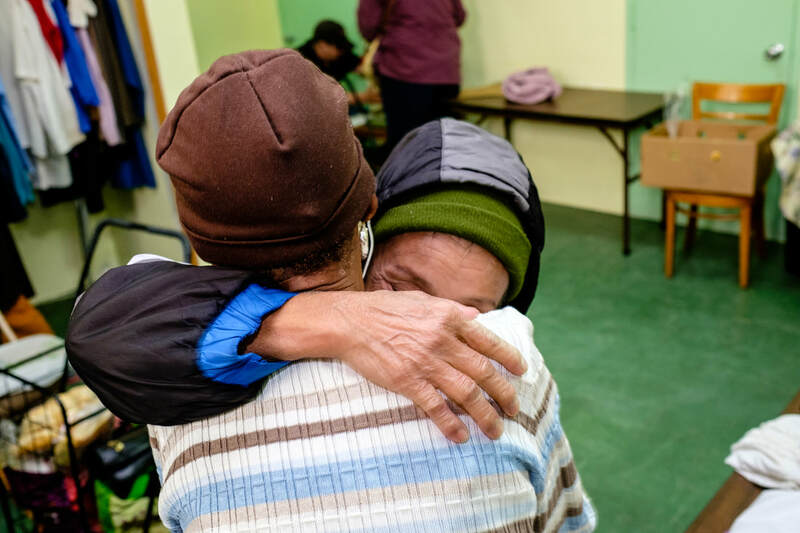 Ongoing activities include assistance to people in need (clothing, infant care items, furniture, and financial assistance for emergency rent, or utility payments.) Regular members meet monthly for prayer and spiritual reflection. The Society is financed entirely by donations to the Cathedral "Poor Boxes."